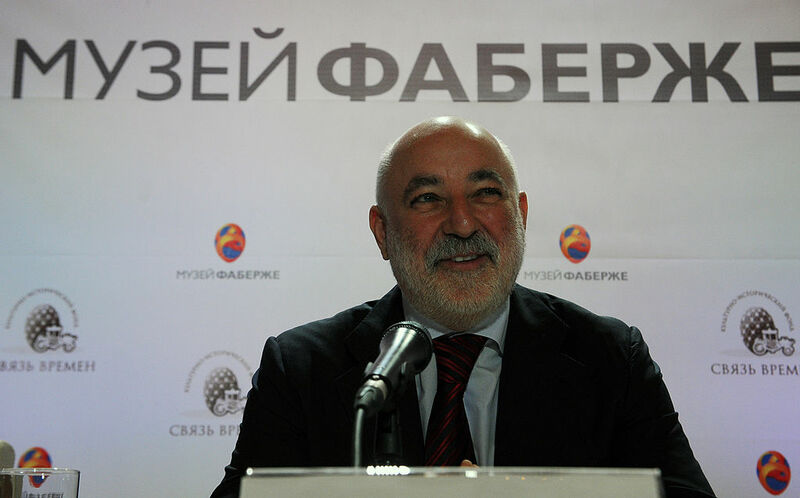 Viktor Vekselberg made a not insignificant fortune ($15 billion, by our measure) in the oil business, but he's hoping to enter his name in the record books for something on the other end of the energy spectrum. He's hoping to get his name in the record books under the world's first ever nonstop worldwide flight made with a plane powered only by solar energy. Vekselberg and his own company Renova Group are developing a way for a single pilot to take the journey around the world at altitudes of up to ten miles in the air. The trip would take about five days of straight flying, but if Renova and co. pull it off successfully it would have implications far beyond the time it would take to complete the flight. Aerospace experts cited in Bloomberg say that the plane that's being developed for the project will be of interest to military and business parties, thanks to its ability to fly greater distances without refueling. The plane will have a 120-foot wingspan and serve as a kind of "flying laboratory," ready to fly by the end of this year, according to Renova director of high-tech asset development Mikhail Lifshitz, who's also optimistic about the project: "Our flight should prove that it's possible to make long-distance flights using solar energy." The plane will use supercapacitors to power its propellers and store energy collected through solar panels located on both the top and bottom of the plane. Amateur science buffs reading this may wonder what the plane will do when it gets dark, and there is an answer: It will conserve energy by gliding at lower altitudes than during sunlight. If all goes according to plan, the Renova solar plane will be piloted by Fyodor Konyukhov, a 65-year-old former Russian special forces soldier who previously sailed around the world multiple times, as well as completing two climbs of Mt. Everest. To get an idea of the importance of this feat, you only need to look at Solar Impulse, a Swiss company that counts Google among its partners. Last year, the company attempted its own worldwide solar flight, which required quite a number of stops between departure and arrival: 17, to be exact.